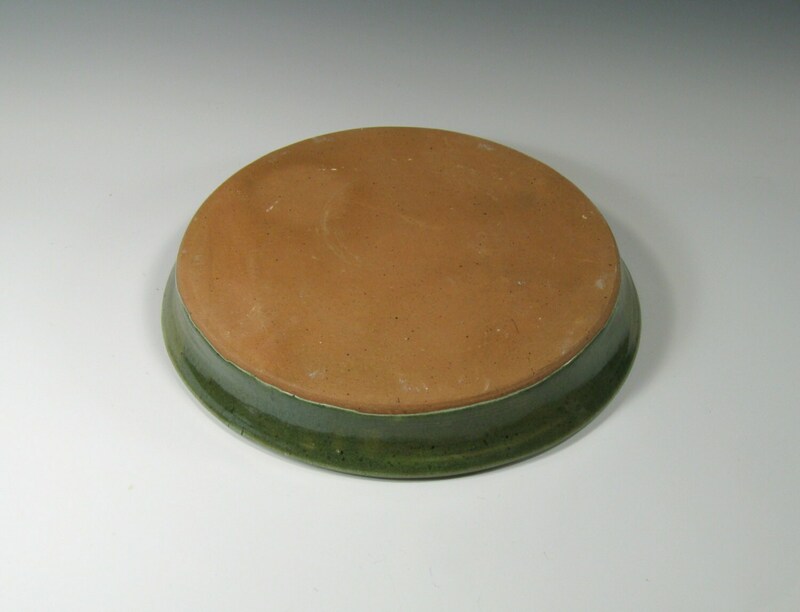 This ceramic serving platter will look stunning as a centerpiece or fruit bowl. Use it also as a cheese platter or cookie plate. 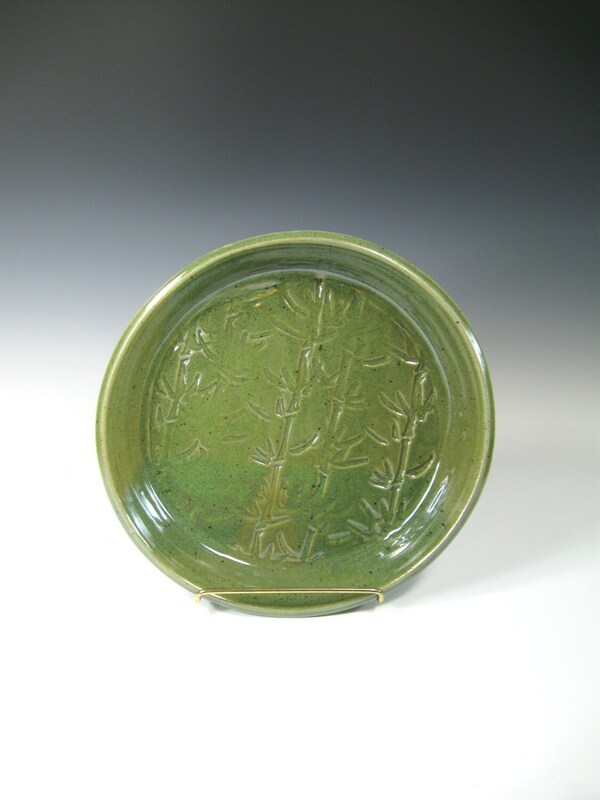 The green bamboo platter will make a wonderful mantelpiece decor accent piece. The platter is 11 inches in diameter and 1.5 inch deep. It makes the perfect handmade wedding gift! I made this platter in my home studio. 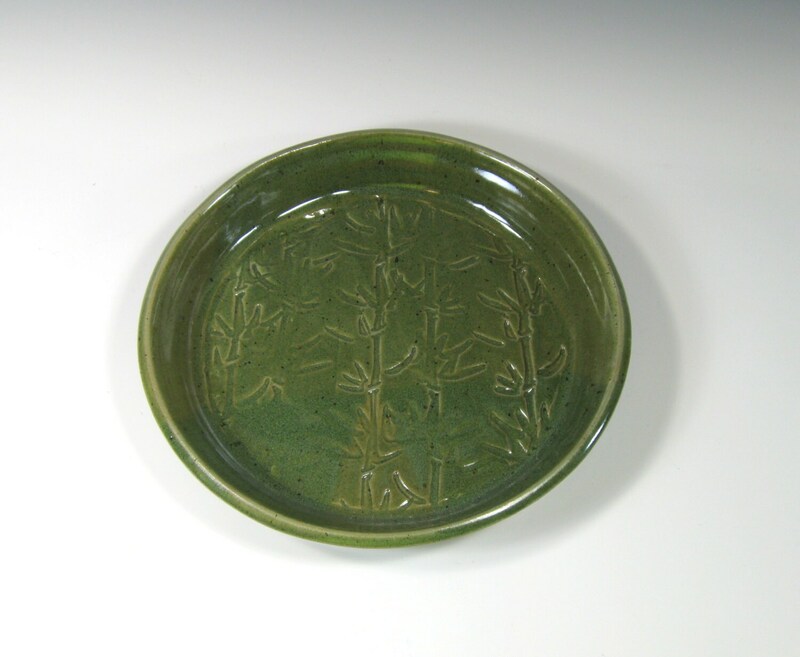 First, I made a clay slab and impressed the pattern of bamboo shoots and leaves on it. Then I made the ring for the rim on the potter's wheel and assembled the piece. 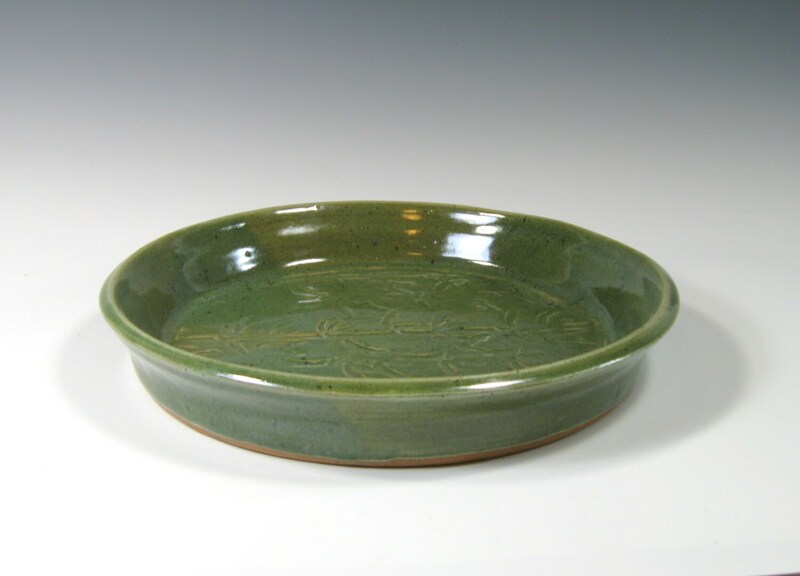 This serving platter is made of a brown stoneware clay and glazed in a food-safe dark green glaze. The speckles that you see are natural to the type of clay. 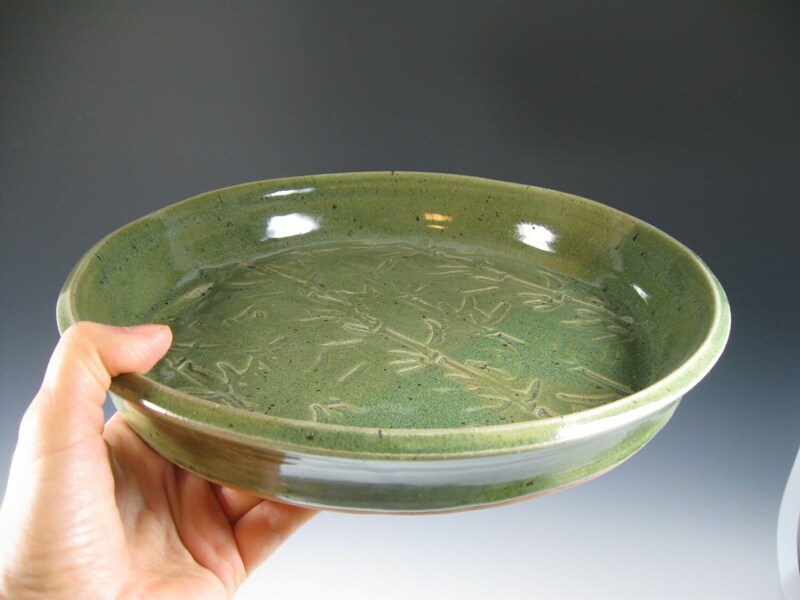 The platter was fired twice in an electric kiln.